Flourish: Balance for Homeschool Moms is a book to help you embrace your journey in homeschooling your children. This book uses real-life principles to help you balance your families lives. The book helps you with goals and how to spend your time wisely. The book comes with a code that gives you access to bonus forms and charts to help you. I am a mother to four children. I have always been a stay at home mother and a homeschool mother. I have also been a single mother to boot. I can defiantly say that I have become frazzled and unbalanced more than once in my motherhood journey. I can also tell you that when mama is frazzled then so is the kids. When I get off balance in throws us all off and then nothing is productive. I have struggled with ways to keep a schedule and keep things in order. I can say sometimes that was easier when being a single mom. Though I know when I was married it was harder too because I did not have full control of what was done always. I so was anxious to get into this book knee deep and get some answers, some help, something! I can tell you that I was not disappointed in the least bit. Mary Jo Tate was like me. She was a mother of 4 and ended up in divorce and a single mother. She still felt the pull to homeschool like I did. It was so refreshing to know I am not the only one out there any that there is someone that has been there and survived. So in this book she talks about those struggles and how she got through them. Each chapter ends with a Take Action! exercise that reviews over what the chapter was. These really help you evaluate things in your life the same as she did. The back of the book has planning forms and you can get your own customizable ones from the online link that you get when you buy the book. These were great because even when you try to just live by the seat of your pants you can lose out on lots of time. I have found lots of my time is wasted doing things that are not as important as other things. I am really excited to start using them more when our official school start date comes next month. With 3 kids being schooled and an infant I need a better schedule. I will also be moving back to a state that requires hours for each subject to be recorded as well as a daily journal of work so this will help me get into that groove as well. In the bonus materials there is a pre-book self-evaluation you take. This asks you the questions about what is most frustrating in your life or the most satisfying. Then there is questions about your goals and such. This are some good thought provoking questions to get you thinking. After you read the book there is then a post-book progress check. This is questions that ask you what you learned about each topic that was in the pre-book self evaluation. I think that it was awesome because it really shows you what you took from the book or maybe even parts that you could go back and reread on to get a better grasp on some tips. 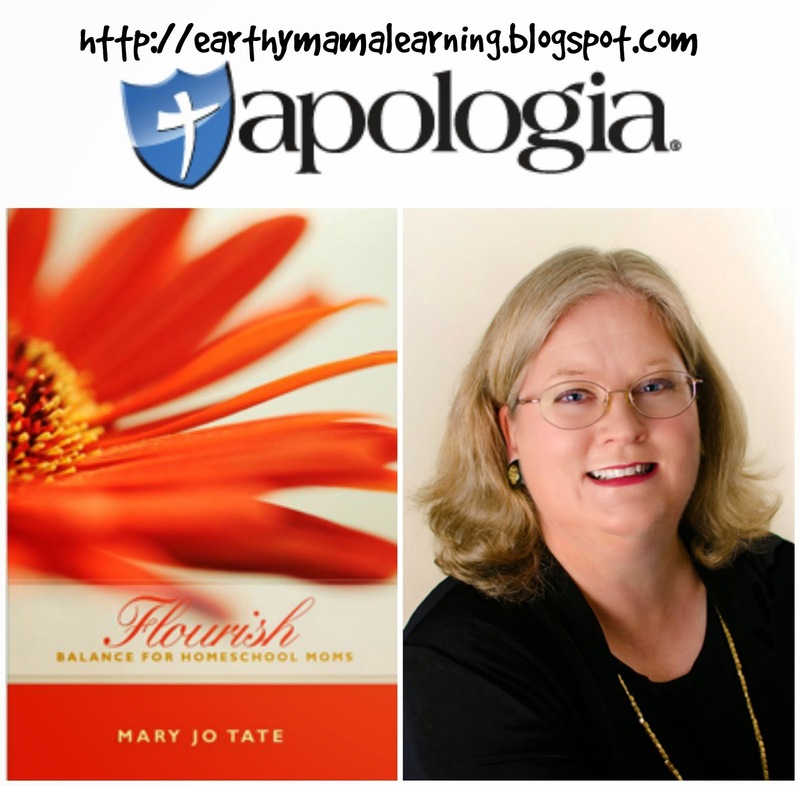 How it fit into my life: Mary Jo Tate made two great points in this book that were a hit right to my heart. One that was the fact that not everyone gets it all done. So many times I look at my fellow reviews and their posts and all the projects they do, and I wonder how in the world do they manage it. In reality they got some stuff done but not as much as they probably wanted to either. They probably look at me the same way thinking about the things we do wishing they could do it all. The second point was that we have to learn to make peace between the ideal and the reality of our lives. She talks about (in chapter 13 I believe) how you think about your day and how it was. Then if you actually set down and wrote out exactly how your day was at each point, see what is different. We all strive for a certain thing and may think that we did want we needed for in the day, but did we really do it like planned? I know I always aim to do certain things by certain times and it rarely happens. I have to learn to be ok with it. If we don't get things done before we have to run out the door then so what. Those two things have always been the biggest things on my heart and I know God wanted me to see them differently when he placed this book into my life. All mothers should read this book. If you are single, married, a working mom, a stay at home mom, or any kind of mom for that matter. This is a great book and it is very heart felt. You can check out the sample and the table of contents of the book. This can give you a little look into it more. Also Check Mary Jo Tate out on social media below as well as my fellow crew members reviews.